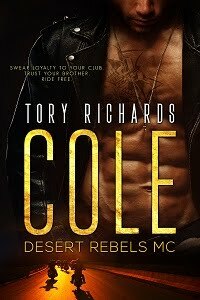 TORY RICHARDS: First Blog Hop for Just Romance Me! First Blog Hop for Just Romance Me! You can't win if you don't play folks. This blog hop goes on until the 12th. Be sure to leave comments, too. My prize is a download of one of my books, winner's choice! Instead of a post I thought I'd ask a question. What is your favorite Valentine Day's memory? I don't really have a fave Valentine since I've not really celebrated it..
My fave Valentine's memory is from last year when I got my gorgeous engagement ring from my wonderful honey! Best day of my life!! I really don't have 1 favorite VDay memory, but I love the holiday 'cause my DH has never forgotten to bring me a gift and we have been married over 30 years! The year I got my anniversary ring, wasn't expected, a very nice surprise. I dont really have a favorite valentine. I dont really celebrate it. Thanks for sharing and for the giveaway! Happy Valentines! Favorite valentines memory is corny but a favorite for me when i woke up and saw a valentines card. not from a man pretending to love me but from my own mother. The only one whose love is constant gave me a card that her valentines was having me in her life. have always treasured that memory. My dad always bought us a heart shaped box of chocolates for Valentine's Day. He doesn't do it now that we are all away from home, but we all remember it fondly. My favorite memory is when we were growing up, my mom would make red/pink foods! Milk, cottage cheese, spaghetti was dyed with food coloring! One of my favorite Valentine's day memories was my first kiss one. We went out to the movies, he gave me a teddy bear and a card and my first kiss. I hope that you have a happy Valentine's day! My favorite Valentine's Days are any where I actually get to get out of my house on a date. came over late one night and woke me up and asked me to come for a ride with him. then took me out by the river (his family owned a piece of land), around midnight. all of the stars where shining and he had written a song for me and we danced under the stars while he held me and sang me his song. if you want to make a woman feel special take her dancing under the stars, alone and you be the music~ even if all you do is hum.